Jeep is an iconic American automobile brand manufacturing and marketing sport utility and off-road vehicles. Jeep’s presence and vehicles span the globe from their headquarters in Ohio, United States to Singapore. 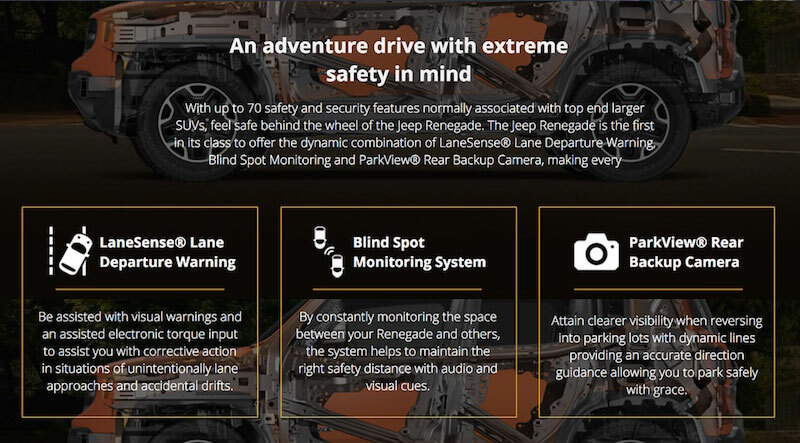 We partnered with a digital agency in Jeep Singapore’s local campaign to promote and market their latest SUV, the JEEP Renegade. We developed their landing page copy for their Facebook ad campaign. 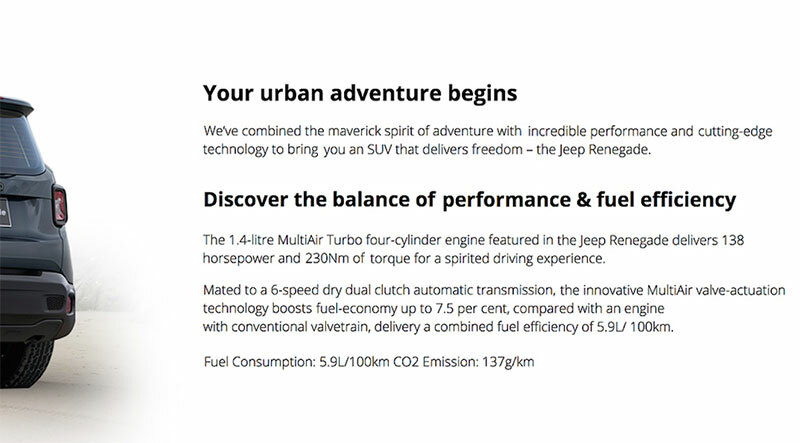 A value based approach was taken to fully show their audience the features of the Renegade together with key social proof to convert clicks into scheduled test drives.